Personal safety is an important part of any trip to the seaside or the coastal cliffs of Dorset and beyond. The hazards are numerous and are not limited to the potential dangers presented by the sea. 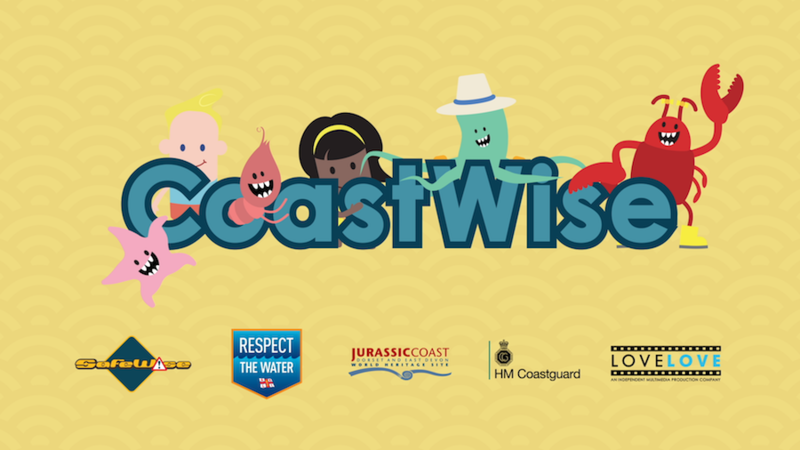 To illustrate the wide range of potential issues that could arise for children and parents who either live near, or who are visiting the coast, Dorset Coastal Forum and Coastwise commissioned LoveLove Films to create an educational and entertaining animated film designed to instil in viewers an appreciation for staying safe on the coast. The coast is a popular destination for holidaymakers all year round, even in the winter months when the long hot days of summer have faded and the evenings creep in. Regardless of the time of year, it is important to be aware of hazards such as deep water, high and low tides and soft mud or sand. Changeable weather conditions, big waves, UV rays on hot days and the dangers of sand tunnels or pits in sand that could collapse should all be taken into consideration. Dangerous cliff edges, sharp and/or slippery rocks and wildlife (such as jellyfish, weaver fish and other wildlife) can all pose dangers too. In order to convey the importance of being aware of these hazards and what to do/which emergency service to call should the worst happen, LoveLove films has created an educational, entertaining and lighthearted musical animation that will appeal to children and adults alike, with the aim of instilling a sense of coastal safety awareness. The animated film will be shown in coastal visitor centers across the UK, Schools online and other numerous learning and educational platform and is designed to appeal primarily to children, The animation has already had over 26,000 views since its launch at the end of June. 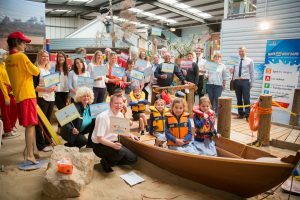 Through the use of brightly coloured, memorable characters and engaging music and lyrics, it is anticipated that through this project, safety at the coast will hopefully become as integral a part of visiting the beach as a bucket and spade! LoveLove Films is a Bournemouth based independent animation and video production company with strong connection to the local coastal environments of Dorset. After being commissioned, LoveLove Films set to work creating an animation that would convey 20 key objectives relating to coastal safety and began a process of storyboarding and working with focus groups of children to ascertain the most effective way to deliver the message of safety awareness. After testing a number of ideas, it was decided that a quirky and humorous animation with accompanying music would be the most effective way to engage children and instil the notion of being safe by the sea. LoveLove Films commissioned and worked closely with local Dorset musician Momo:tempo who voiced a multitude of whacky characters. LoveLove Films devised the idea of a group of sea creatures who would get into various situations by the coast, and through visual cues along with the song, explain to the children what they should do in the event of each type of emergency. The resulting animated film was launched at SafeWise Bournemouth on 27th June 2017. Attendees included key partners in the project; Dorset Coastal Forum, LoveLove Films, Fine Family Foundation, Chief inspector Guy Shimmons of Dorset Devon and Cornwall Police force, and the RNLI as well as the children from Courthill Infant School, who viewed the film from a boat with life jackets on and took a quiz on what they learnt. For more information on coastal safety, please visit the Dorset Coast Forum here.